I am one of those ladies who prefer to use an eyebrow pencil since it is much easier and faster to apply. 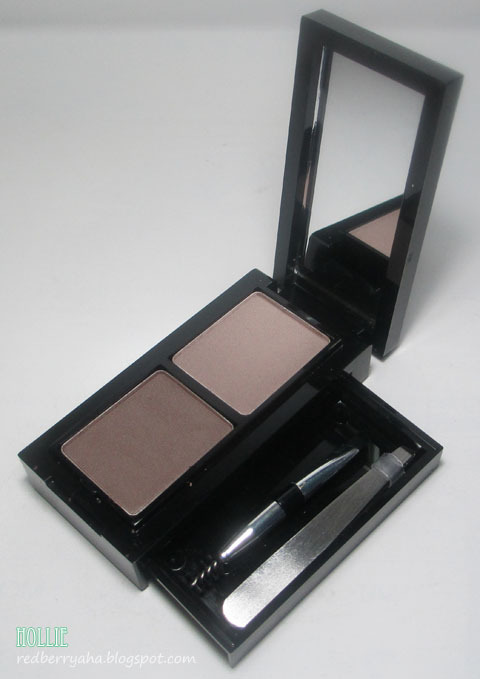 However, an eyebrow powder usually gives the most natural look. Most of the time I just use a matte brown eyeshadow if I feel like grooming my brows with powder. This is the cutest eyebrow set I have seen to date. It is housed in this solid little compact which comes with a mirror. The back portion of the case can be pulled open which carry tiny tweezers and a double-ended angle brush and spoolie. It comes with two matte brown shades. Darker shade on the left and a lighter shade on the right. This is how the Darker shade looked on my brows using the applicator that came with it. 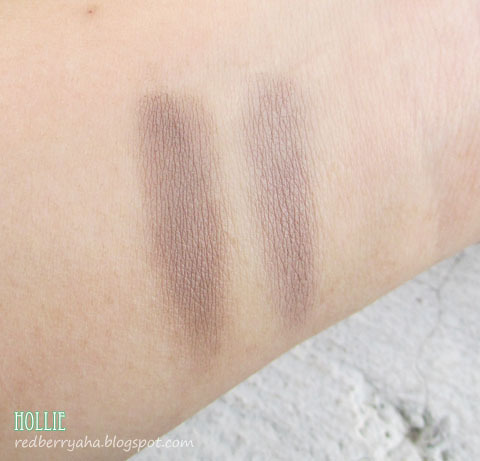 I have tried using the In2it Brow Powder and the Wet n Wild Brow kit. 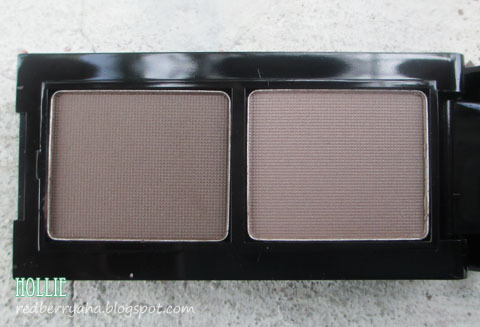 Both comes with brown shades that have too much yellow undertone to it. I am glad the Catrice Eyebrow Set has a slightly ashy undertone, because their shades are the closest match to my natural eyebrow color. Would definitely recommend this to those fond of using eyebrow powder. Apart from the affordable price, it has a quality that delivers. love the color... seems like a great brand! 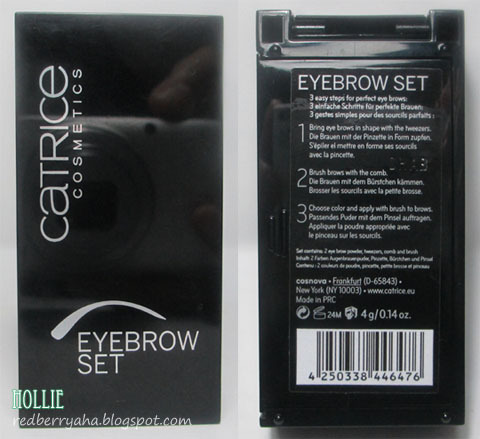 I wish Catrice were locally available or at least ships internationally. Initially, from the pictures, I thought the shade looks light for you. But upon application it was very natural looking. Nice! OMG That spoolie! This seems like something I would buy just because of that applicator! I use a combination of brow pencil and powder for my brows. And yes, I agree, pencils are so much easier to use, but powders give a really natural and soft look. I love the in2it brow kit (I use the gray-ish shade). I rarely use it by itself, though, because my brows are all over the place. haha. I need something to outline them first.